Our host was perfect, easy to communicate with, looked after us when we had a delay leaving. Spoke fluent English and was available any time with questions or if there were any issues. 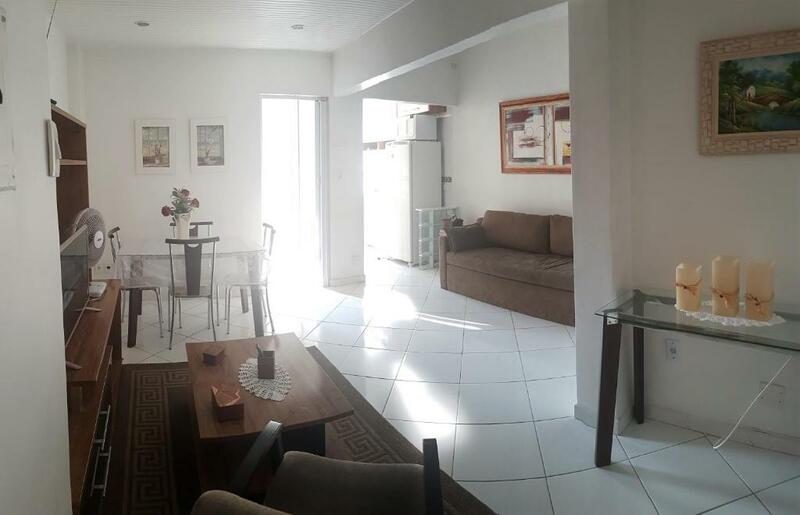 The apartment is in a great location, 5 mins from the beach, 5 mins from the metro. Felt very secure, not much noise at night. Great view out over Christ the Redeemer. Bed was very comfortable. Everything I expect from an apartment in rio was there. Foi tido ótimo, Rodrigo super atencioso e gentil, ap super confortável e limpo, muito organizado, localização excelente. Anfitrião muito gentil e preocupado em oferecer a melhor estadia possível. Super acessível e educado pessoalmente e via internet. 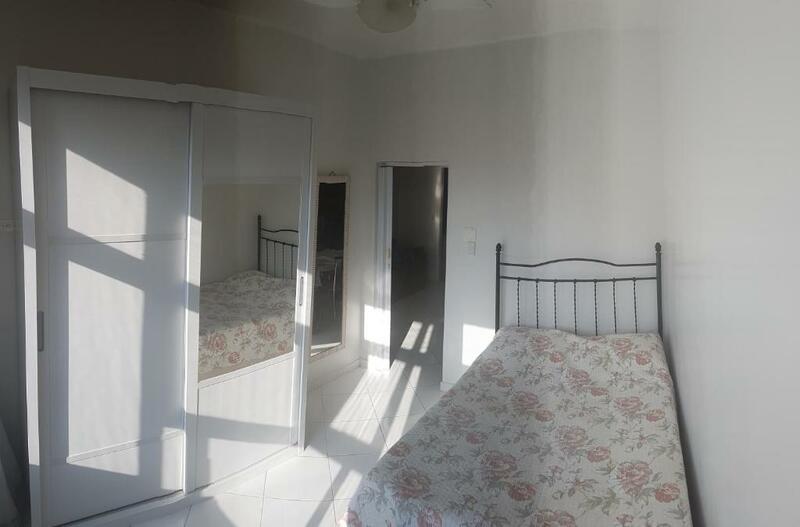 O apartamento super bem localizado e limpo. O atendimento do Rodrigo foi fantástico, atencioso, simpático, super receptivo. Recomendo demais...voltarei outras vezes com toda certeza! O apartamento atendeu as minhas expectativas. Muito limpo e em ótima localização, perto da praia e comércio. Voltarei mais vezes com certeza. Recomendo, me senti em casa. 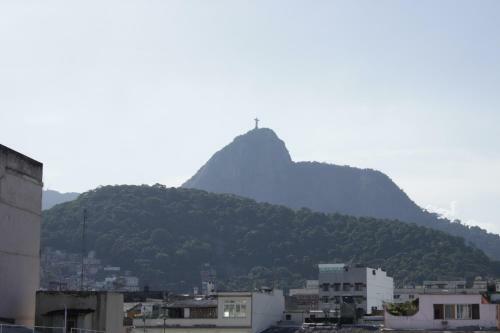 Local super acessível perto de TUDO que você precisa, supermercados, metrô, restaurantes, shopping, praia e com uma vista maravilhosa pro Cristo Redentor. Rodrigo super gentil e atencioso ❤ Com certeza voltaremos. Lock in a great price for Apt Nossa Senhora de Copacabana – rated 9.8 by recent guests! Apt Nossa Senhora de Copacabana offers self-catered apartments in the heart of the famous Copacabana district, only 4 blocks from Siqueira Campos Subway Station. The air-conditioned apartments are fully-equipped and offer a complete kitchen, a living room with a flat-screen TV, radio and sofa. In the double bed room there is a wardrobe. The bathroom includes a shower. Copacabana beach is only 1,950 feet away. The apartment is 5.9 mi from Santos Dumont Airport and 7.8 mi from Novo Rio Bus Station. Maracanã Stadium is 8.1 mi. 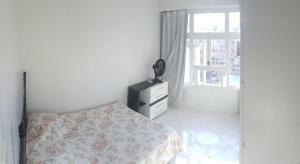 뀐 Located in the top-rated area in Rio de Janeiro, this property has an excellent location score of 9.7! When would you like to stay at Apt Nossa Senhora de Copacabana? 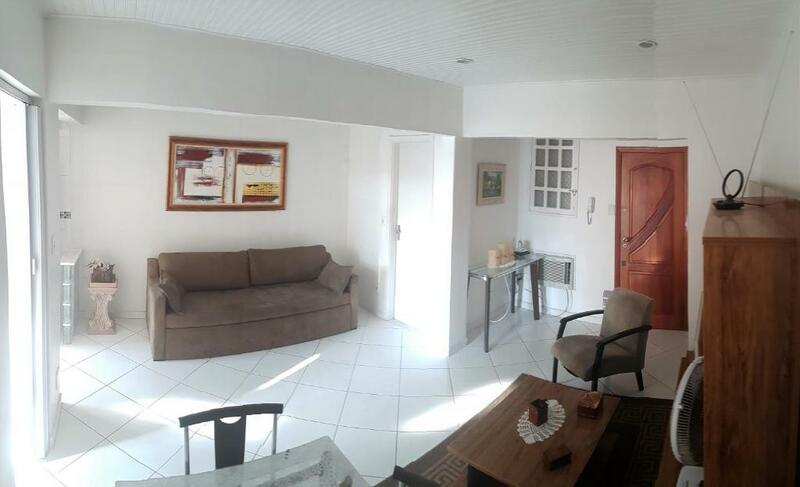 Located at 583, Nossa Senhora de Copacabana Avenue, this air-conditioned apartment is fully-equipped and offers a complete kitchen, a living room with a flat-screen TV, radio and sofa. In the double bed room there is a wardrobe. The bathroom includes a shower. House Rules Apt Nossa Senhora de Copacabana takes special requests – add in the next step! A BRL300 damage deposit is required on arrival (around USD75.87). This deposit will be fully refunded at check-out, as long as there isn't any damage to the property. Apt Nossa Senhora de Copacabana accepts these cards and reserves the right to temporarily hold an amount prior to arrival. A deposit via bank transfer is required to secure your reservation. 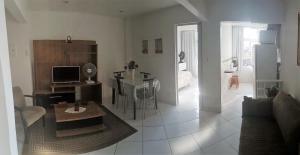 Apt Nossa Senhora de Copacabana will contact you after booking to provide bank transfer instructions. Please inform Apt Nossa Senhora de Copacabana of your expected arrival time in advance. You can use the Special Requests box when booking, or contact the property directly using the contact details in your confirmation. A damage deposit of BRL 300 is required on arrival. That's about 75.87USD. This will be collected as a cash payment. You should be reimbursed on check-out. Your deposit will be refunded in full, in cash, subject to an inspection of the property.